Here's a jumbo 20 page set of 12x12 inch digital papers featuring a variety of modern patterns - stripes. dots, chevron, etc. - in yellow, pink and bright green. 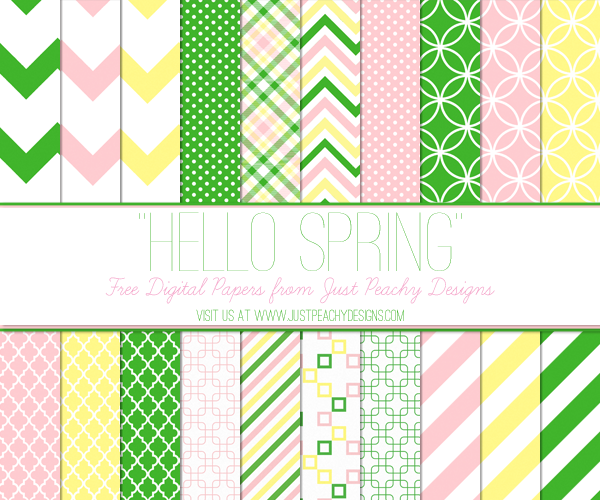 This free digital paper set is perfect for your Springtime or Easter themed scrapbooking, crafting, and digital design projects.